Want to reach today’s digitally connected consumer, but not sure where to start? 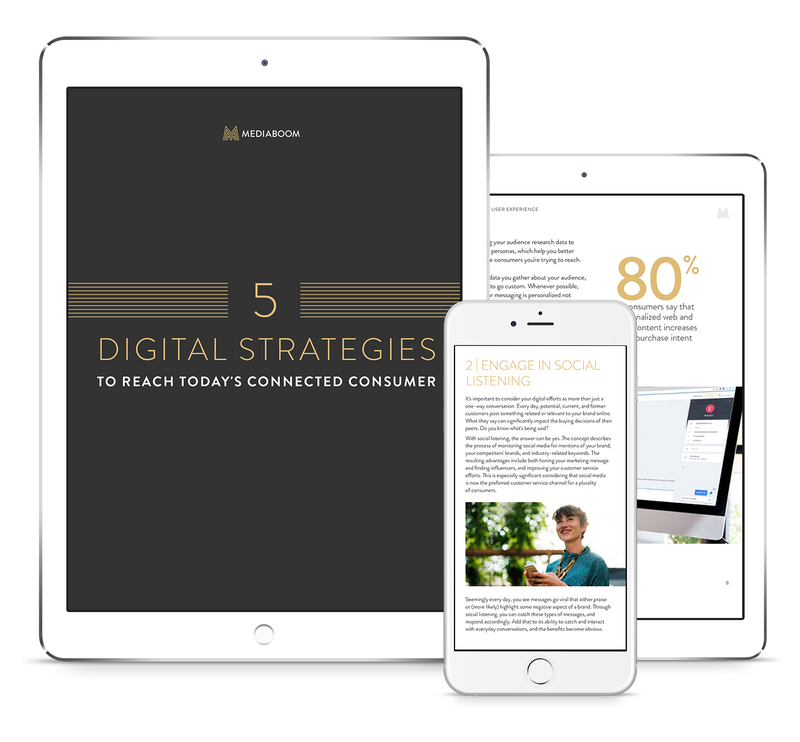 Receive your FREE copy of “5 Digital Strategies to Reach Today’s Connected Consumer,” to get insights into how to optimize your marketing & advertising strategies for increased consumer engagement and business growth. Digital advertising never rests, and neither do we. Receive exclusive insights on what’s new, what’s hot, and what’s challenging the rules in digital advertising and marketing so you’re always the first to know.